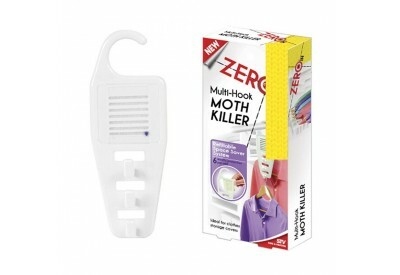 Zero In Multi-Hook Moth Killer is ideal for clothes and storage covers and come in packs of 6. 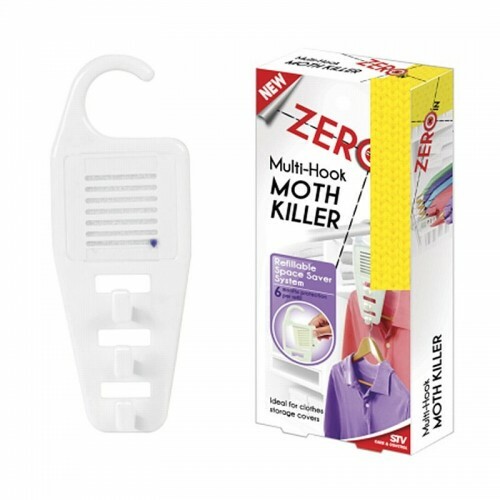 The Multi-Hook Moth Killer is designed to protect your clothes from expensive damage by moths, their larvae and eggs for up to 6 months. It also offers a multi-hook space saving system that gives the benefit of increased hanging space in wardrobes. The unit is particulary ideal for protecting against moth damage to clothes stored within clothing covers.